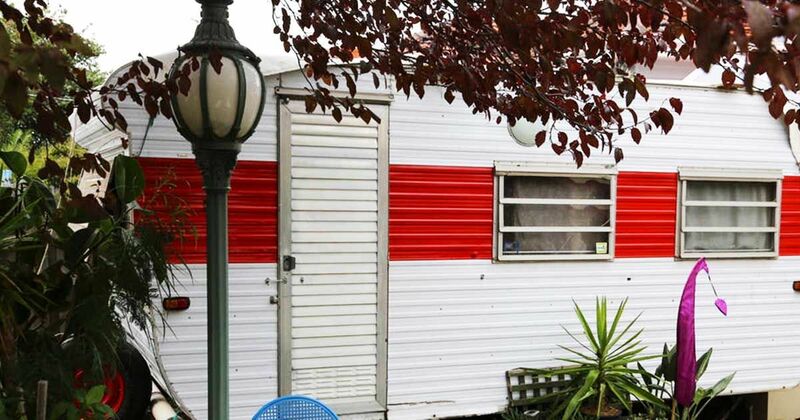 With the style of a 1950s diner and the feeling of home, it is hard to dislike this tiny trailer. The charming red and white exterior has a look that is timeless. Classic and contemporary at the same time, the interior design has the power to brighten anyone's day with its checkerboard floors and its retro details. 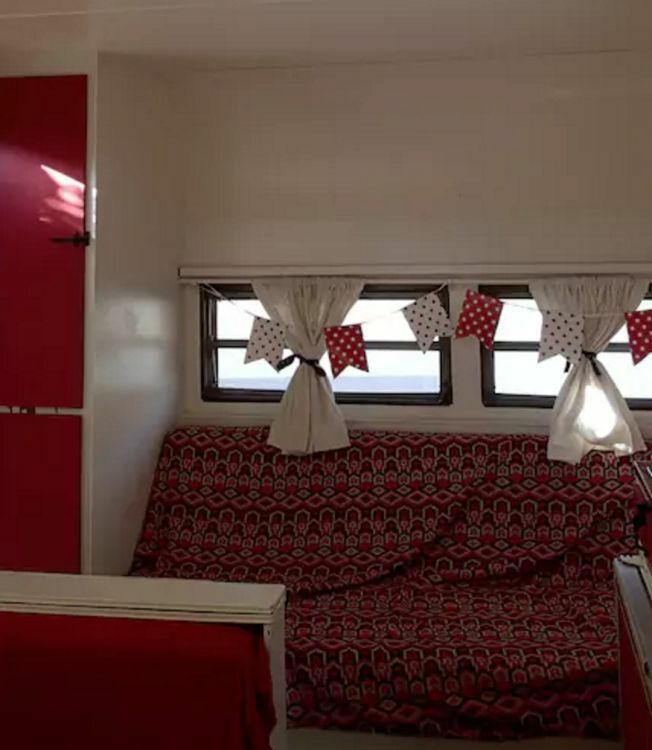 If you're planning a trip to Melbourne, Australia, you can rent this cutie through Airbnb. 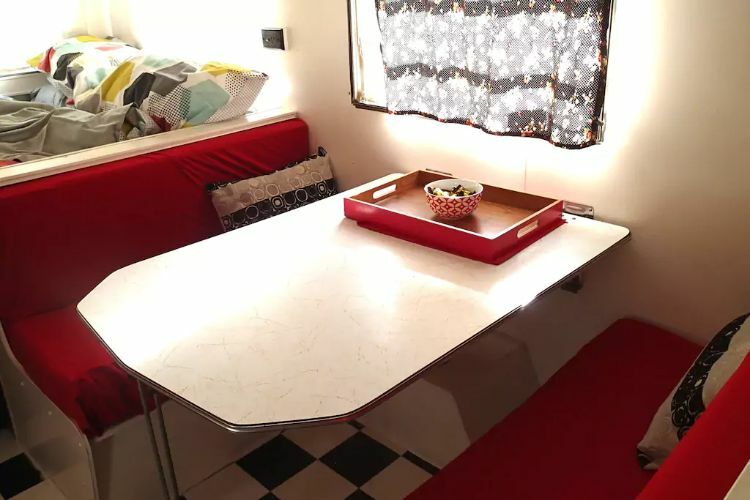 Just because this camper might be on the small side, don't think it won't be the perfect place to share with friends. 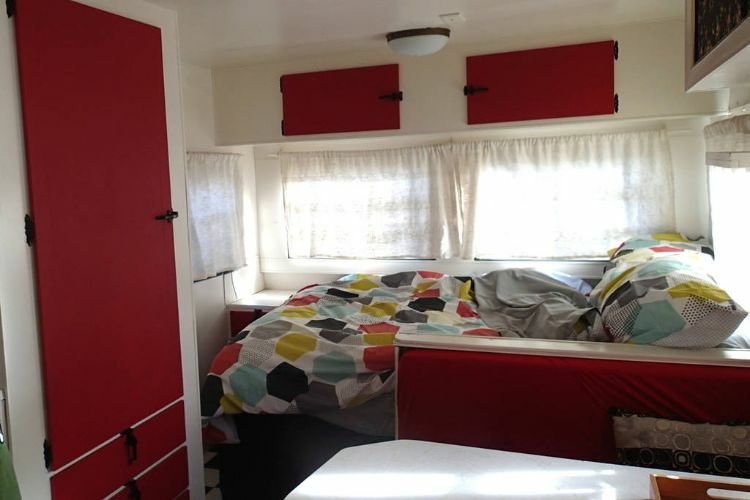 The caravan has a total of three beds and will be comfortable for up to five people. It also shares amenities with the host's house so you can enjoy a full-sized bathroom and kitchen. We know this is a foolproof way to have an amazing Australian vacation. Relax in this breakfast booth with a cup of coffee and a plate of pancakes. 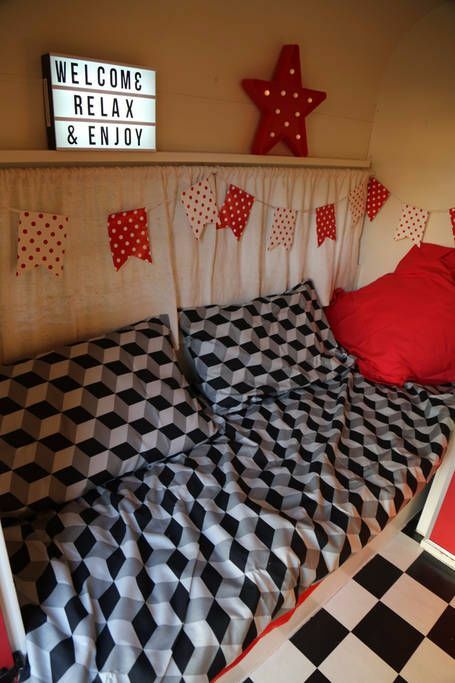 To accommodate your full belly, the booth can then be transformed into a double bed. 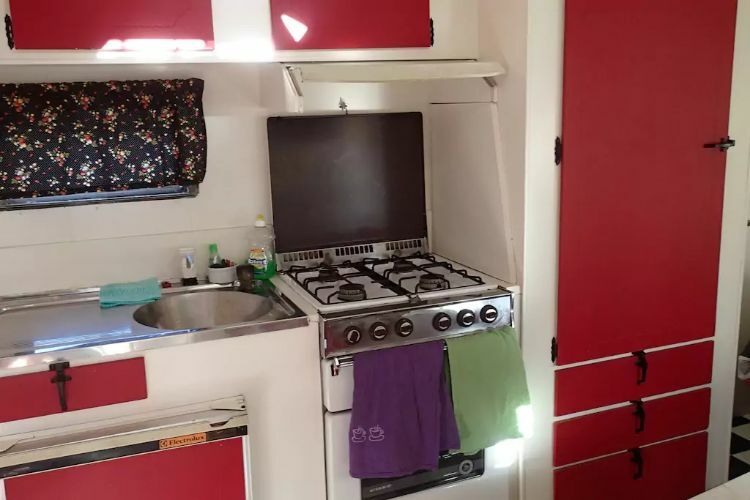 Don't worry about not having enough room to cook for everyone because these deep red cabinets and real-sized stove will provide all the space you need. On one side of the trailer, you will find the largest bed covered in this fun, chromatic bedspread. On the other side, you can get lost in the optical sheets of this single bed and seating area. A final couch in the corner allows for yet another sleeping arrangement, if needed. 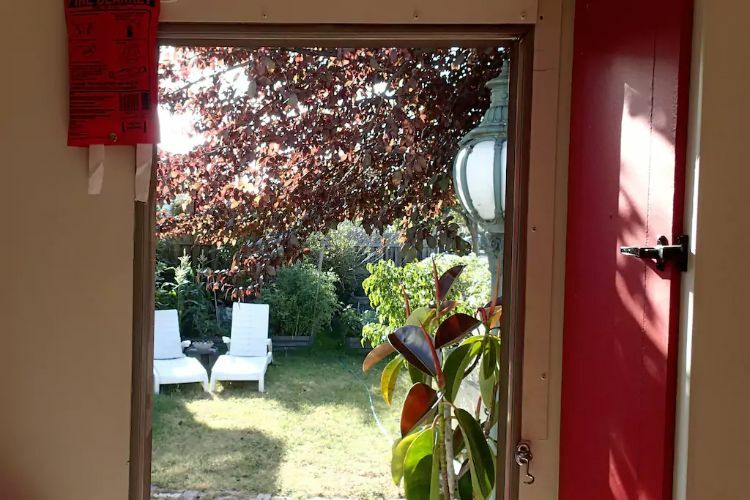 Peek outside and be amazed by this luscious garden view. 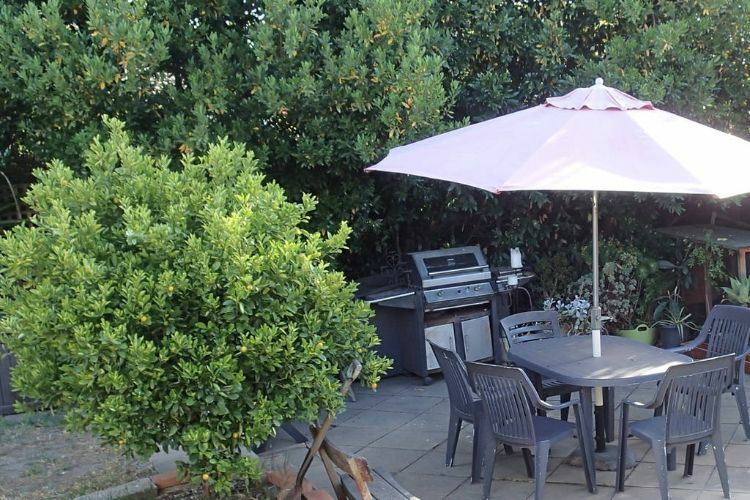 You can even bring out a book and a glass of wine while winding down your evening on the patio. Do you love this classic look as much as we do? SHARE this article with your friends on Facebook and let us know in the comments!